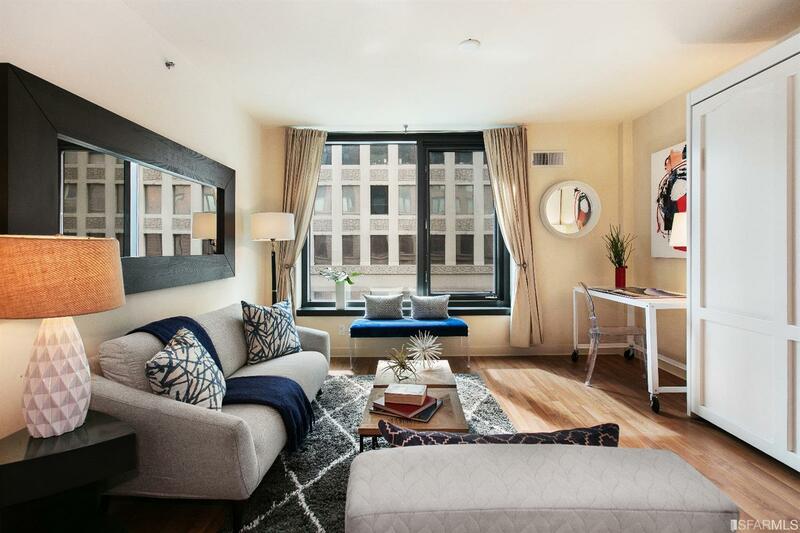 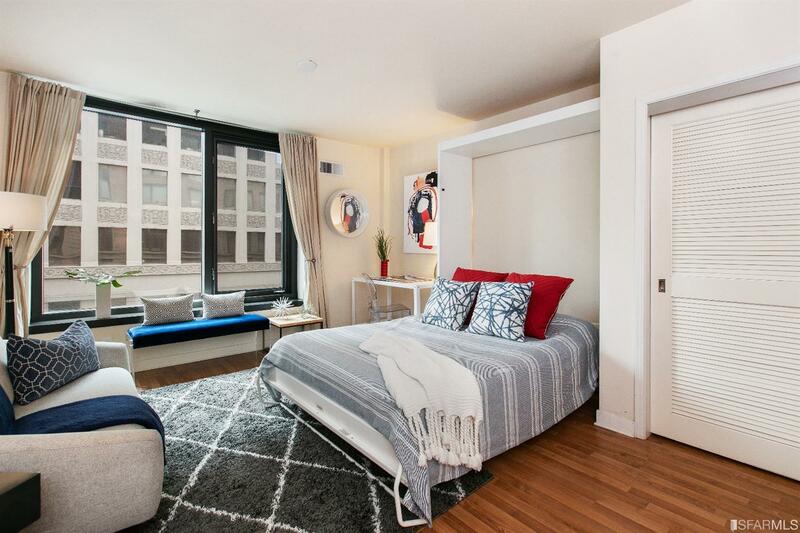 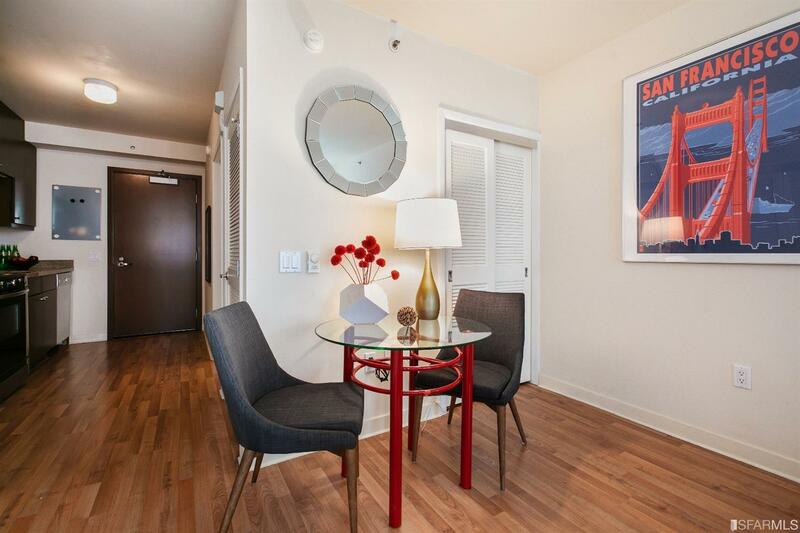 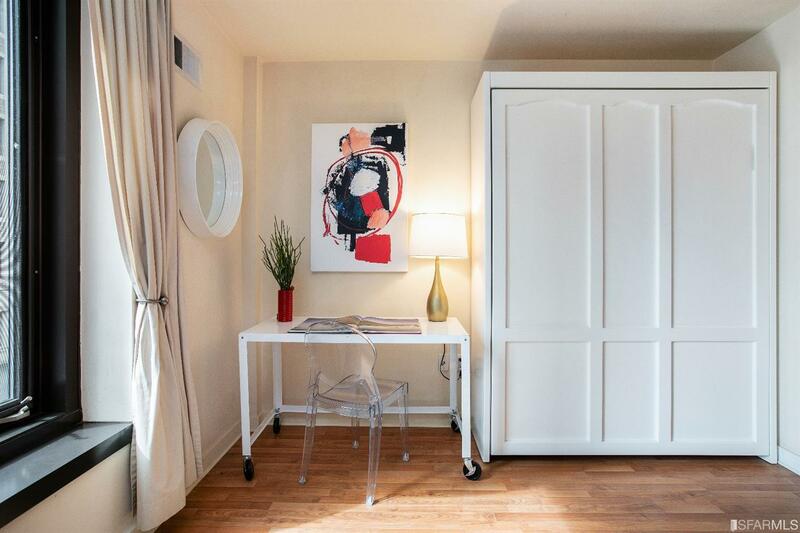 This cute studio creatively maximizes its space and is a great starter home, investment property, or pied-a&#768;-terre in the heart of downtown. 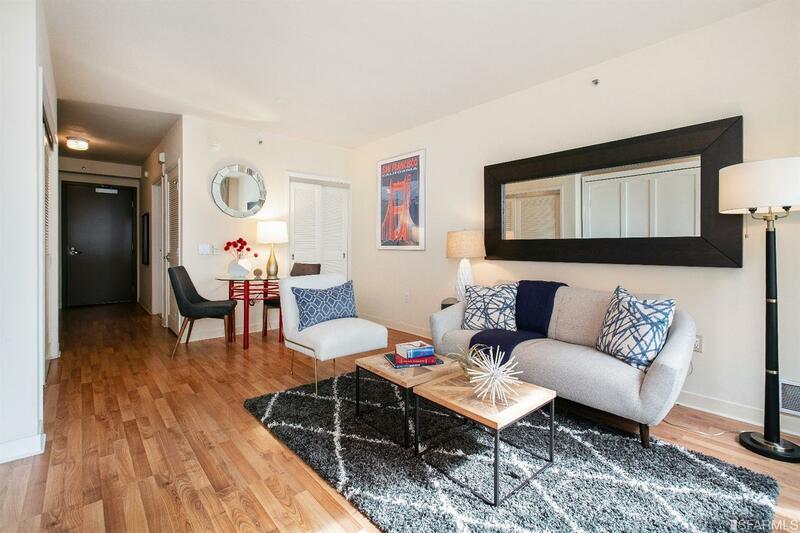 With hardwood floors throughout, the home features a lovely living area with a custom built-in Murphy bed and efficiently designed kitchen with beautiful cabinets and full size stainless steel Bosch appliances. 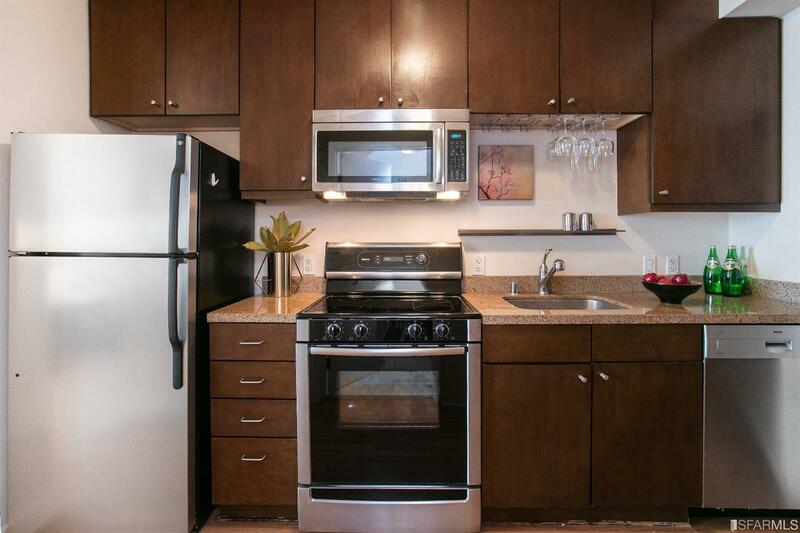 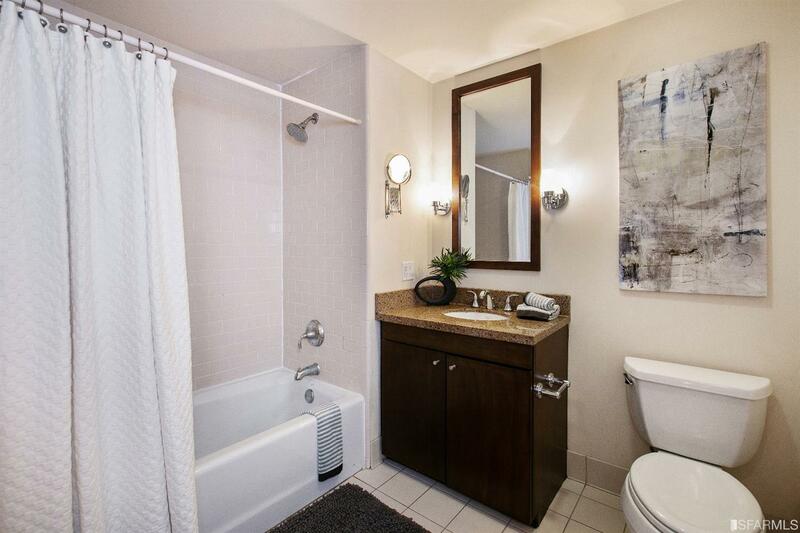 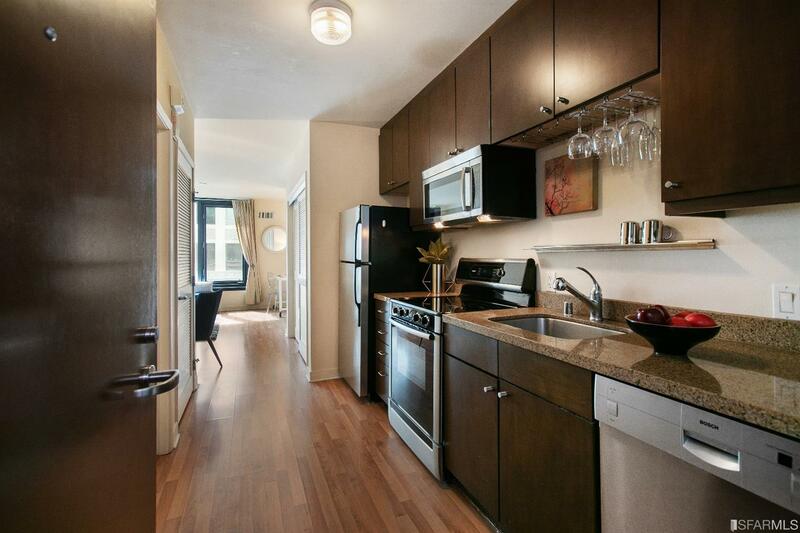 There are granite countertops in the kitchen & bath, and an in-unit washer/dryer. 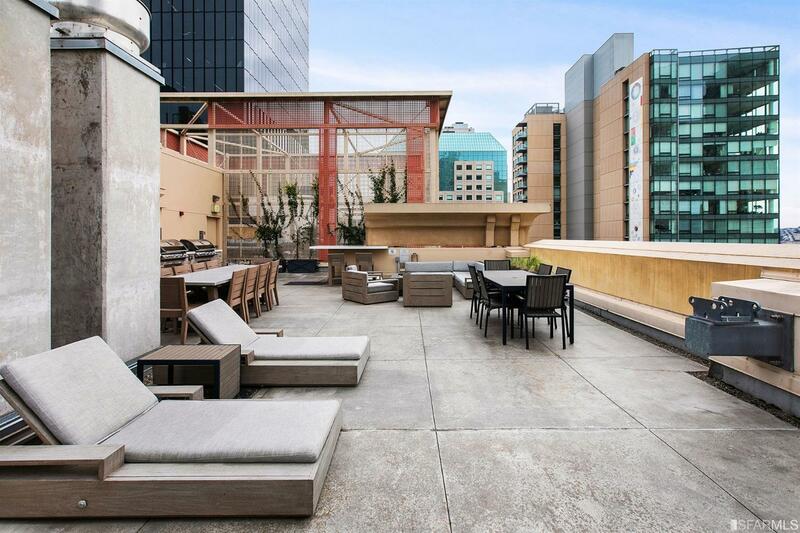 Building amenities include an elegant lobby, 24-hr desk attendant, furnished roof deck with 2 bbq grills, gas fire pit, & 360-views perfect for entertaining. 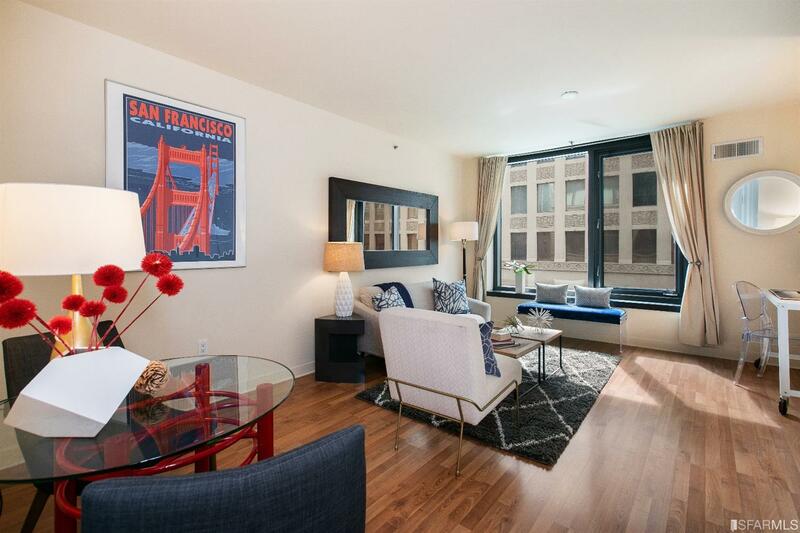 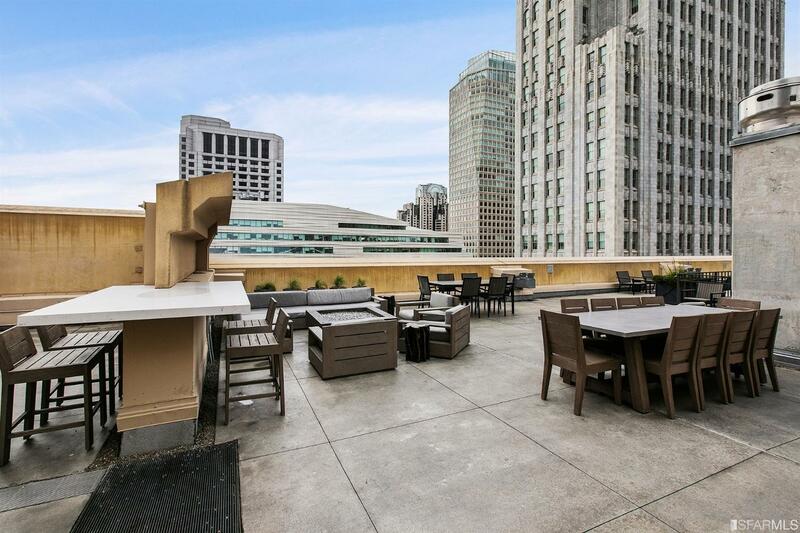 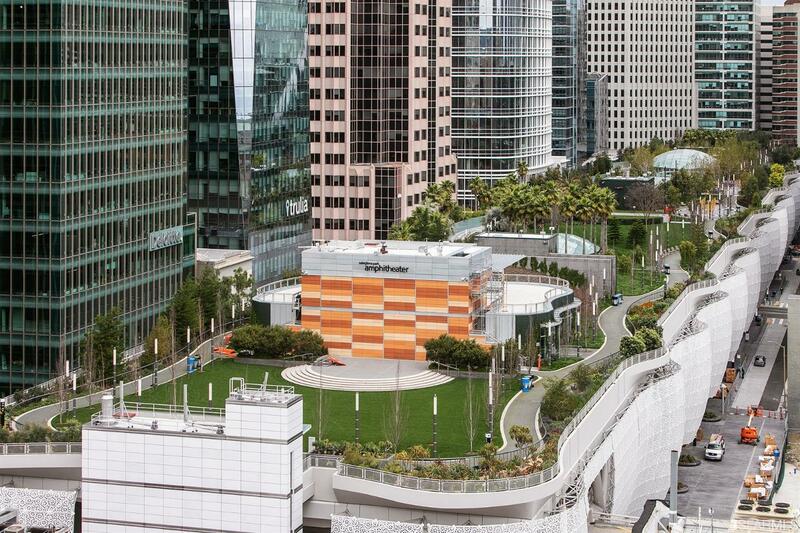 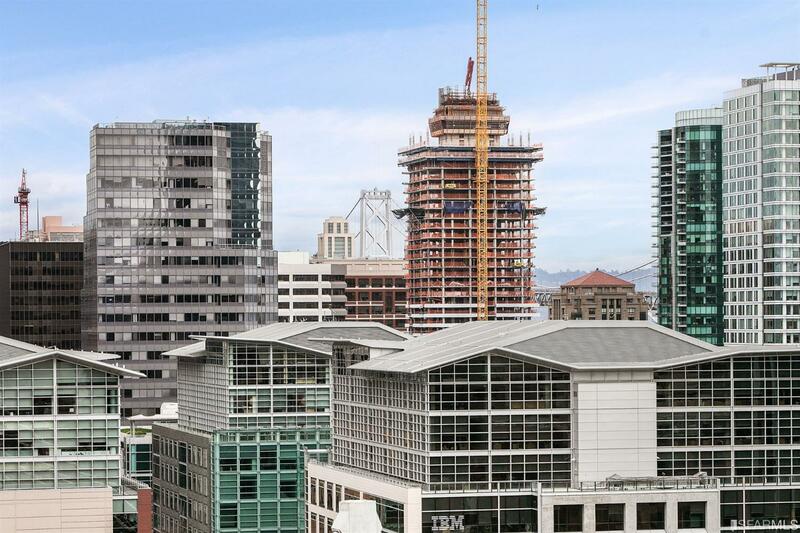 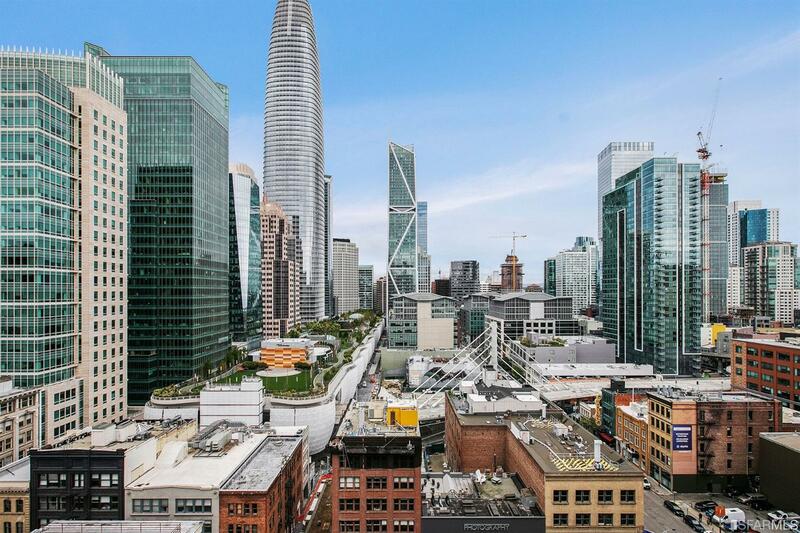 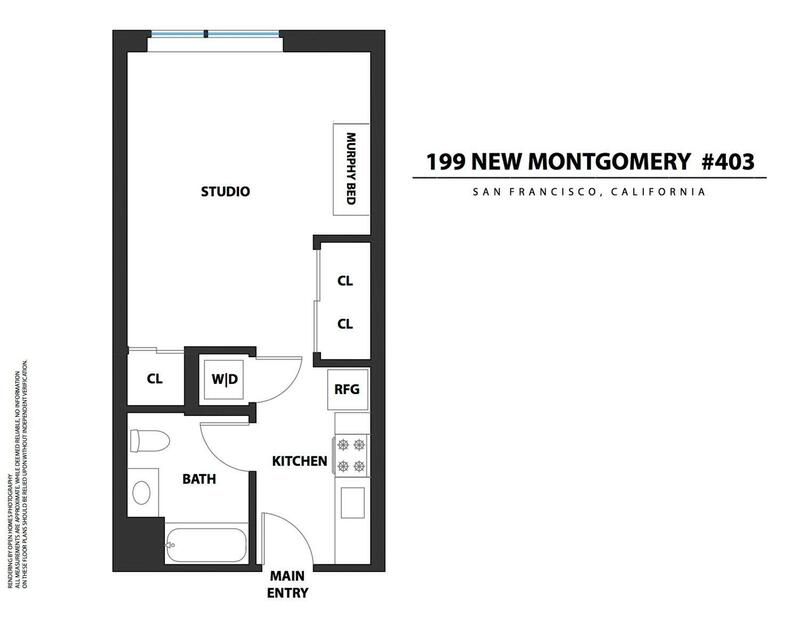 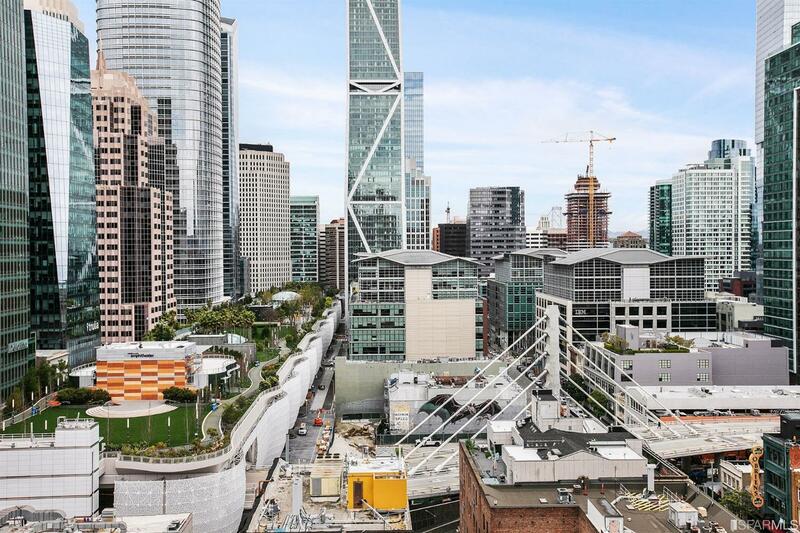 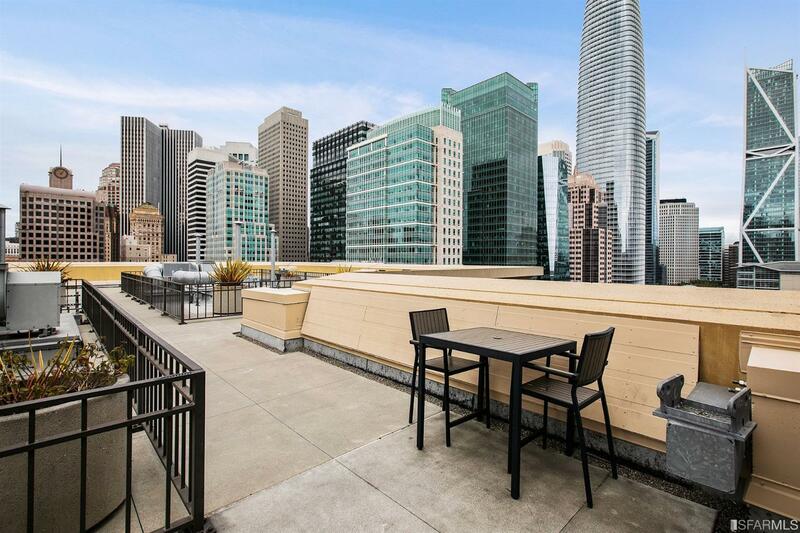 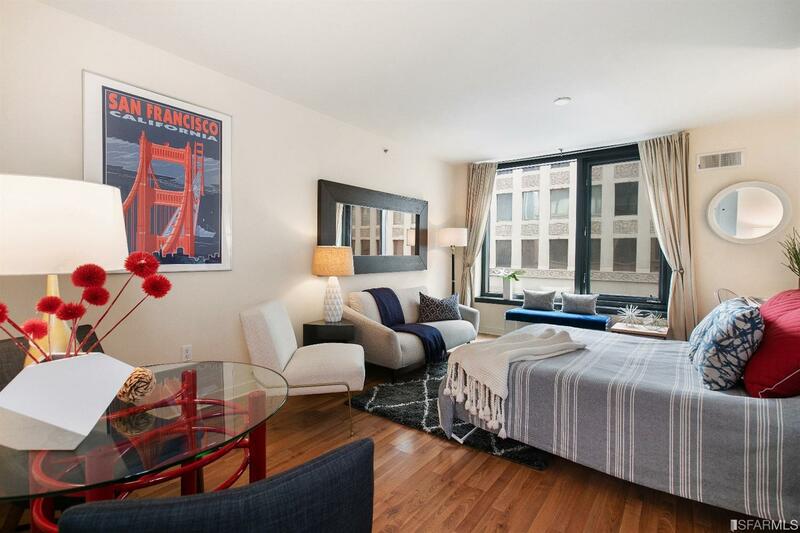 Located across the street from the Academy of Art and only two blocks from MUNI and the Salesforce (Transbay)Tower, enjoy being close to the Financial District, Union Square shopping, SF MOMA, AT&T Ballpark, top-rated bars, Michelin-starred restaurants and nightclubs.